Home Best VPN Service Which are The Best VPN Services for a Secure Wi-Fi Connection? Which are The Best VPN Services for a Secure Wi-Fi Connection? The time we spend travelling between locations, outside the house or office or abroad on business trips and vacations used to also be time that we spent out of touch. Until the advent of public Wi-Fi and mobile internet devices, there was no real way to access emails, check messages, catch up with our finances or contact clients and colleagues unless we were physically sat at our computers, at home or in the office. In the modern world, we all spend an increasing amount of time rushing from place to place and it’s unthinkable to lack access to all these things while we do. The only problem with this is that public Wi-Fi is not secure – anyone with a mind to will be able to intercept every piece of information that you send across the internet. So what’s the best way to keep safe and which is the best VPN for Wi-Fi? Why Do I Need To Use A VPN To Stay Safe On A Public Wi-Fi Connection? All a hacker, identity thief or cyber criminal needs to be able to access, intercept and gather your information is to be on the same network as you, especially if that network is unsecured and doesn’t even need a password before someone can log on to it. If a hacker is lurking on the public Wi-Fi connection you use, he can simply use a data sniffer or activity log to intercept your data and grab your information as you enter it. Once he or she has hold of it, you might be surprised at how little data is actually needed to begin piecing together your passwords and usernames and most popular websites. 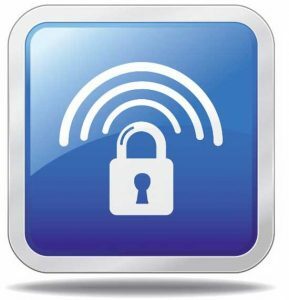 What Can VPN For Wi-Fi Do To Protect Me? A VPN secures every piece of data that you send across the internet by routing it through an encrypted tunnel, even if the network you’re using is not itself secure. Any data that a hacker or spammer was able to glean would be incomprehensible to them without the unique key that your VPN for Wi-Fi assigned to your computer to decrypt it again. What Am I Looking For In The Best Wi-Fi VPNs?